For most parents, it’s hard to know when to start potty training a toddler. Your child sometimes tells you, of course. You regale them with stories of the giant prizes that’ll appear once they use the toilet and, suddenly, they’re ready to pee and poop on demand. 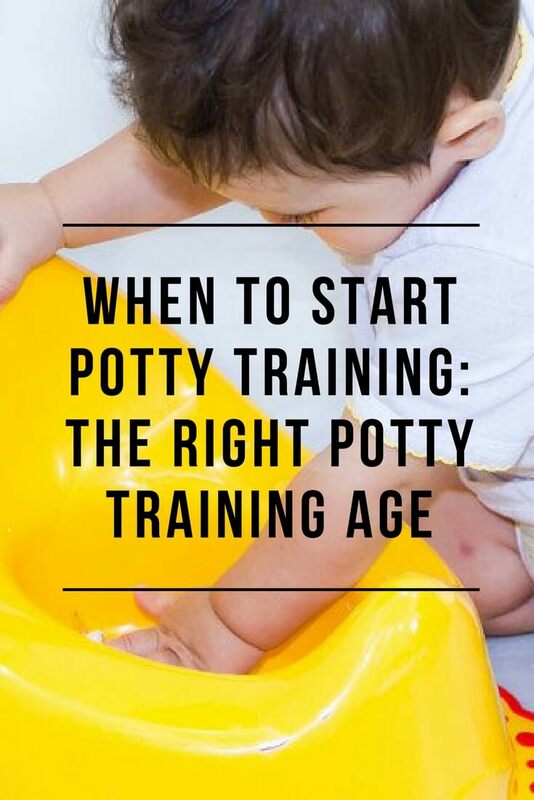 So how do you know when a child’s truly ready for potty training? You must look for signs, both the obvious (actual signs that read “Will Tinkle in Toilet for Toys”) and the much subtler. You may have changed so many diapers that you have it down to a science! Don’t worry – you’re not the only parent who has. Parents are potty training children at older and older ages. Not only has the average age risen in the United States, but it’s risen in Brazil, China, and Switzerland as well. Children now become potty trained at an average of three years instead of just a few months over two years. One reason for this is the widespread availability and convenience of disposable diapers. Determining when to potty train is something you must decide based on yourself and your child. Studies suggest that training between 27 months and 32 months is ideal. Starting too early sets yourself up for failure and starting too late leaves your child more prone to bedwetting and accidents. Even so, every child is different: what worked for one of your kids probably won’t work for the other. That would be too easy. 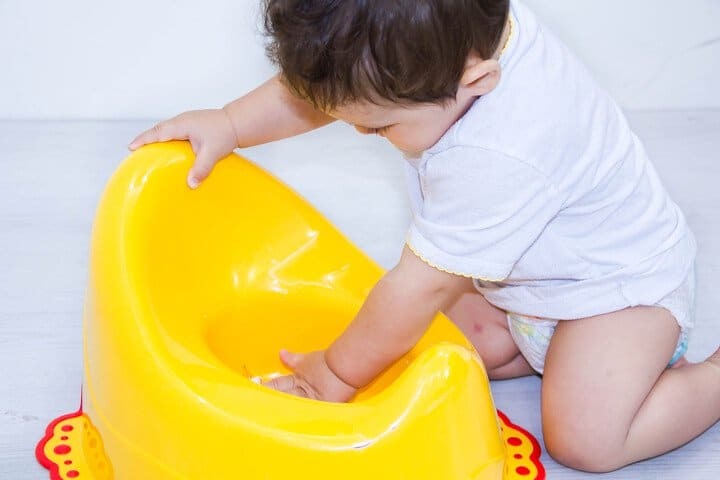 If your child is peeing in their diaper on a regular schedule, and only every few hours, there’s a good chance they’re ready to give the toilet a whirl. This is a sign they’re beginning to regulate, which is important for bladder control. A child who poops on schedule gives you the advantage of pulling out the potty before anything happens. If you know your child always poops around eight a.m., you know to be ready with the toilet. This boosts the likelihood of potty training success. How do you know that you’ve got to go? Your body tells you! Kids who know how to listen to their bodies are better prepared for the potty than those who ignore their urges and discomfort. A child showing body awareness may grunt or squat or go hide underneath a table to crap in pseudo-privacy. Using the toilet requires more dexterity than using a diaper. For one thing, children must be able to remove their clothing. Once your child can do this, they’re potty prepared. Some toddlers look at you like they have no idea what you’re talking about. That never really changes in regards to children – teenagers do this too! But if your toddler can follow simple directions – things like “go potty” and “sit down” – it’s time to ditch the diapers. Before placing your toddler on a toilet, make sure they can sit still. You don’t want to let your child use the potty if they’re going to get up and run out the door mid-poop. If your child is walking around the house singing, “I am toddler here me roar!” you know they’re craving independence. Children who want a promotion to head of the household are more likely to take to toilet training than those who are fine being treated like babies. If you have a kid who dislikes being wet in a diaper, they’re ready for underwear. If your child asks questions about the bathroom – where the toilet paper goes when they flush, why people have to go, whether mommy or daddy pee and poop – they’re exhibiting a curiosity that suggests they’re ready to toilet train. Kids want to be like their parents and, if they see you out of diapers (hopefully you are! ), they’ll want to be as well. Maybe the surest sign that your toddler is ready to use the toilet is the easiest: they tell you. Once kids learn how to express the desire to go, turn them loose and allow them to achieve their porcelain dreams. Now that you know how to tell if the timing is right, how do you assure a smooth process? That’s a trick question – you can’t assure a smooth process! Something is bound to go wrong. But the following dos and don’ts can help with damage control. Let your child run around naked: This helps your child grow more comfortable with their body and what their body is trying to tell them. It’s hard to ignore urine without a diaper on! Avoid clothes with buttons: You think snaps, buttons, and zippers are difficult for you? Try being three! Pay attention: Kids who are potty training don’t tell you five minutes ahead of time that they need to go: their window is more like ten seconds. Thus, pay close attention – your child will end up watering the fern in the living room if you don’t. Offer praise: All hail the poo! The more you do, the more your child will want to make you proud. Offer motivation: One of the best ways to motivate your child is by reminding them that they’re growing up and growing up means using the toilet like a big kid. Introduce the potty: “Toilet, Tammy. Tammy, Toilet!” – introducing the potty to your child makes it less scary. So, bring it up as often as possible. Allow your child to observe you using the toilet, take their dolls or toys to use it, and read books about it. Do whatever will help make your child comfortable – comfort is key. Practice proper hygiene: The best way to instill good hygiene in your child is to do it from the start. Make sure that your child always wipes, flushes, and washes their hands with soap and water. Running their hands under a faucet for all of half a second? That doesn’t really count. Aim to wash for an extended period, around half a minute. Check for dryness: When your child’s diaper remains dry, show them that you’re proud. However, don’t criticize or punish if the diaper is wet – that will lead to regression. Expecting miracles: A child who takes to the toilet like a duck takes to water isn’t reality. Expecting too much only sets the stage for disappointment. Punishing: As mentioned above, any punishment can lead your child to backslide. Never punish for pee or poop – you’ll only dissuade them from future attempts. Withholding food or drink: Some parents withhold liquids (or things like bran) in an effort to potty train. But you should do the opposite – bring on the juices! The more they have to go, the more practice they get. Using force: Potty training should never be forced – this can lead to discomfort and leave your child more resistant the next time around. Fighting a losing battle: Not every kid potty trains on the first attempt (or the first twenty attempts). If you’re losing the battle, admit defeat. Then try again in a few weeks. Losing your willpower: But trying again doesn’t mean never trying at all. You have to potty train your child eventually. If you don’t, they’ll live in your basement until their mid-fifties. Remember, timing is everything when it comes to the potty! Never begin this adventure during times of distraction or transition (such as going on vacation or the birth of a new sibling). And don’t let frustration get the best of you: in the battle of the bowels, you will prove victorious, but it takes time. If they’re still not taking to the toilet after you’ve tried and tried again, seek the help of a pediatrician. Potty training is a test of parental fortitude, but it’s nothing patience and Clorox can’t fix. The easiest way to assure a smooth transition from diaper to potty and never back again is to make sure your child’s really ready to sit on their throne and reign over the land of laminate tile.